1. Oakland’s two major unions representing civilian employees have reached a tentative deal with city officials that would provide raises for the first time since 2007, the Trib reports. Under the deal — which must be ratified by rank-and-file workers and the city council — city employees would receive a 2 percent pay raise immediately and a 1 percent raise next summer. The pact also does not include employee concessions on health care and pension costs that Mayor Jean Quan had originally sought. 2. The not guilty verdict in the killing of black teenager Trayvon Martin in Florida sparked protests around the nation over the weekend, including demonstrations in Oakland. On Saturday night, a group of protesters vandalized cars and businesses in downtown. 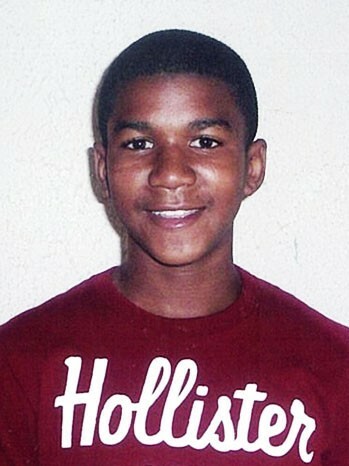 A Florida jury on Saturday acquitted George Zimmerman, ruling that he shot the unarmed Martin to death in self-defense. 3. The Oakland City Council plans to examine ways to strengthen the city’s Public Ethics Commission in the wake of a scathing report from the Alameda County Civil Grand Jury, the Trib reports. The grand jury ripped the city and its public watchdog commission for failing to adequately deal with a scandal involving Councilwoman Desley Brooks for her role in engineering the creation of a swanky teen center in her district in apparent violation of city and state laws. 4. Asiana Airlines said it will sue Oakland TV station KTVU for broadcasting bogus, racist names of the pilots involved in the SFO crash, AP reports. KTVU apologized for its broadcast on Friday, as did the National Transportation Safety Board, which acknowledged that a summer intern had confirmed the bogus names to KTVU. 5. And UC regents are hoping that new UC President Janet Napolitano, the US secretary of Homeland Security, will use her political influence to help the university system raise funds and obtain a larger share of state tax dollars, Reuters reports (via Rough & Tumble).